No Vietnam entry visa required for travel less than 30 days: Citizens of Thailand, Malaysia, Singapore, Indonesia, and Laos; Philippines passport holders are no need visa for 21 days; Brunei passport holders are not required visa to Vietnam for 15 days. No visa required for travel less than 90 days or several visits within 6 months: Citizens of France holding valid diplomatic or official passports. No Vietnam entry visa required for travel less than 60 days: Citizens of Chile holding valid diplomatic or official passports. 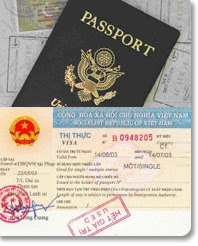 No Vietnam entry visa for traveling to Phu Quoc Island – Vietnam : Foreigners and Vietnamese nationals bearing foreign passports who enter Vietnam through an international border gate and then travel to Phu Quoc Island and stay in Phu Quoc less than 15 days will also be exempt from Vietnam visa application. Passports must be valid for at least 45 days. After arriving in Phu Quoc Island, if visitors want to travel other localities or stay in the island for more than 15 days, the immigration department will be responsible for issuing visas right on the spot. No visa required for Vietnamese overseas less than 90days staying if holding Vietnam visa exemption certificate. Are you looking for location of Vietnam embassy in Bahrain ? We regret to announce you that there has been no embassy or consulate of Vietnam in Bahrain until now. You are recommended to contact the nearest Vietnam Embassies in any of your neighbouring countries. We are pleased to let you know that we will update the newest contact information of the embassy/consulate of Vietnam in Bahrain for your reference. It would also be helpful if you could send us any information about the Vietnam embassy in this country via our email info@evisa.vn.